Summer is coming, and it is time to go out and about, travel and read books outside! Most will know about the previously unknown work by J.R.R. 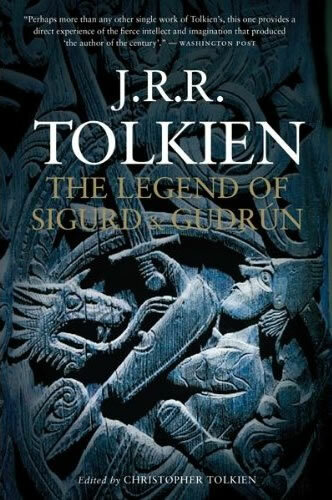 Tolkien, which tells the epic story of the Norse hero, Sigurd, the dragon-slayer, the revenge of his wife, Gudrún, and the Fall of the Nibelungs, that was released in 2009. If you read and liked The Hobbit and The Lord of the Rings, learned more about Tolkien's mythology by reading The Silmarillion or even worked your way through the series of The History of Middle-earth. I can imagine that now you want another great reading of Tolkien fantasy? 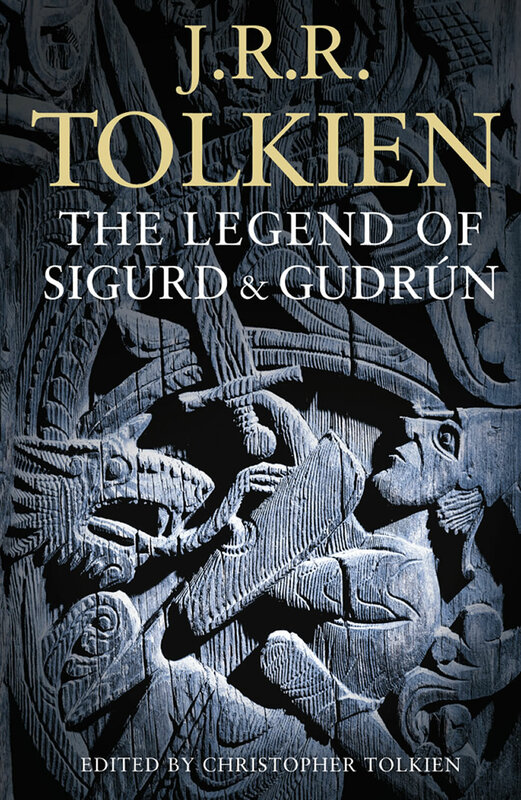 Maybe you should skip this book and go for a copy of Unfinished Tales, since The Legend of Sigurd and Gudrun is something different and can be seen as a scholarly work. However if you are into Norse mythology, and have for example already read Beowulf, Sir Orfeo and Sir Gawain and the Green Knight, you will love this book as well. In this book J.R.R Tolkien has recreated a unified Norse mythology, written in English, but following the classic 8 line stanzaic style of the Elder Eddas, the Old Norse poetry form. It really is a treat to get this style of poetry rendered in the common speech. It will not take you long and you feel the urge to speak these poems out loud and get a good feeling how these tales once were told in the halls of the kings of old. While Harpercollins has already released The Legend of Sigurd and Gudrun in paperback format in April, I noticed the book will now be printed by other publishers as well, for example in Canada World UK Books will release it in paperback format and for the US (and the rest of the world) Mariner Books also reprints it; the latter being known for there high quality paperbacks. One thing is certain, I'm going to pick up a paperback copy, so that I can carry it along through the summer! I'm very much a fan of this book, mainly because it introduced me to Mythologies I did not know so well, secondly because of the very interesting foreword by Christopher Tolkien. For the first time I truly enjoyed a foreword as much as the main book itself. It is probably because the topic of the book is something Christopher Tolkien loves himself and his great knowledge on the subject shines through, as does his passion for these mythologies. To be honest, somehow I expect many people to get disappointed when they read this book, since most of them expect something 'different', something more 'Tolkien', more 'Elvish', more 'Hobbits'... at first I got the same feeling and found it hard to focus on the story. Yet I read on and after some time I got sucked into the different rhyme, the dark tale, and I started to discover these mythologies, feel the suffering, smell the sea,... and a whole new world opened up to me. It is my hope, when you walk around with your paperback, read it out loud (which works best with this book) that you can also find this magical place!